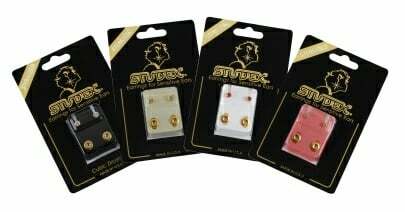 The Gar-Gano Company has been selling Studex® and other manufactures ear piercing supplies, equipment and accessories including studs, earrings, instruments, guns and all relating piercing supplies throughout the USA since 1989. Our products range from earrings for women, males, girls and boys. 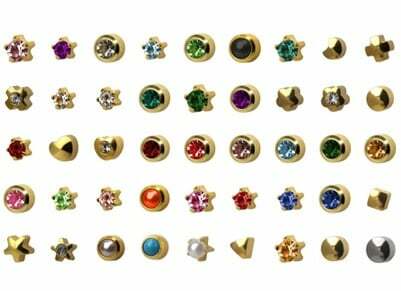 From an array of gold earrings, gold ear studs, starter studs, surgical steel ear studs, cartilage piercing studs and earrings, nose earrings, gun and starter earrings, and silver earrings. 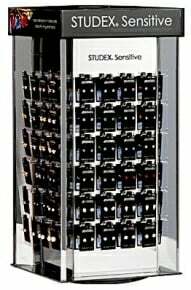 All of which are sterilized piercing earrings. 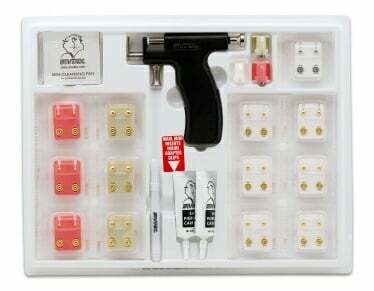 Where to get an ear piercing gun and tools for safe and secure piercing? Looking for piercing ideas, lowest piercing prices or even piercing stores and studios? WE OFFER A FULL 1 HOUR TRAINING SEMINAR, AT NO CHARGE, WHICH COVERS SANITATION, STERILIZATION, SENSITIVITIES, STEEL TYPES, ANTISEPTICS, ANTIBIOTICS, AND HANDS-ON-TRAINING. AFTER CLASS COMPLETION, YOU WILL BE CERTIFIED THROUGH OUR COMPANY. THIS SEPERATES US FROM OTHER COMPANIES THAT ONLY SELL THESE PRODUCTS WITHOUT TRAINING. Please call us at 949-282-0058 or text at 949-285-1486. Please click on any of the below tabs which best suits your needs. You will find the highest quality at the lowest prices at no minimum purchase. The Gar-Gano Company starting selling cosmetology and beautician hair styling scissors and shears in 2001. We carry all kinds of hair cutter scissors with a specialty in titanium and swivel thumb ergonomic scissors. We also carry stylist scissors designed for short and long hair styles. 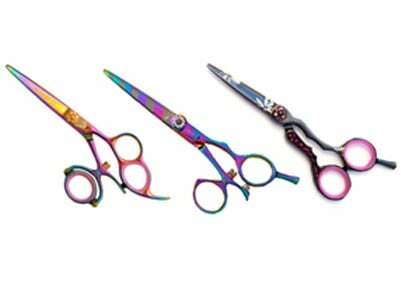 Hair thinner, texturizer, and chunking scissors are also a part of our salon supplies, as well as left hand hair scissors. Beauty and hair supply outlets generally do not supply the higher grade haircutting shears. All of our Japanese style hair scissors are made of 440 steel, Colbalt, and Hitachi steel. We offer professional beauty and barber shear sharpening services. 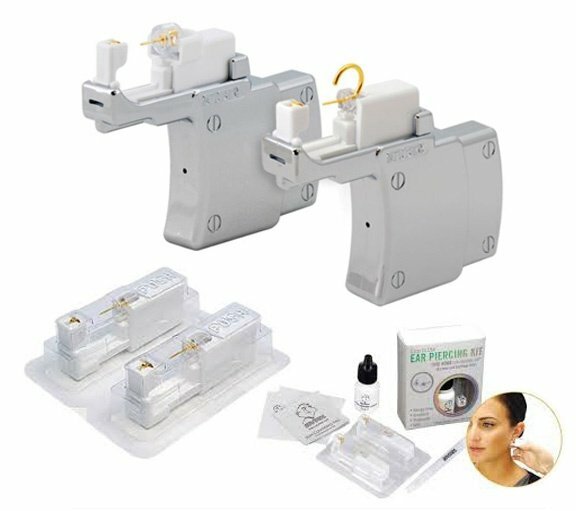 ANOTHER SERVICE WE OFFER IS A 45 MINUTE SHEAR FITTING AND ERGONOMIC SEMINAR TO HELP PREVENT CARPAL TUNNEL INJURY FOR THE HAIR STYLIST. THIS ALSO INCLUDES MAINTENANCE PROCEEDURES AND THE PROPER QUESTIONS TO ASK WHEN SELECTING A PROFESSIONAL SALON SHEAR. Please call us at 949-282-0058 or text at 949-285-1486. Please click on any of the below tabs which best suits your needs. You will find the highest quality at the lowest prices at no minimum purchase.